As these brands can attest, all it takes is creativity, know-how and a bit of luck to run a successful campaign on Twitter, Facebook, Pinterest, Vine, YouTube or even Snapchat. 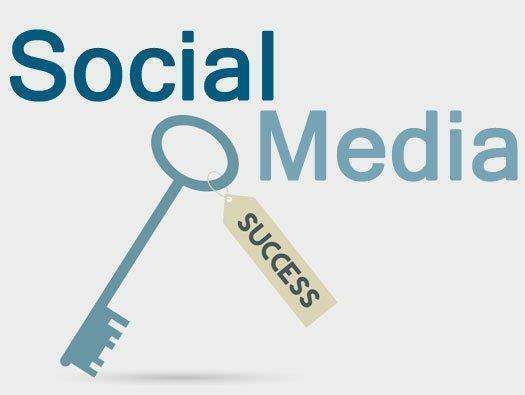 "An effective social strategy requires making an emotional connection with consumers and candidates and generating personality-fueled brands that are connected to the business," says Steve Ehrlich, global vice president of client development for TMP Worldwide. 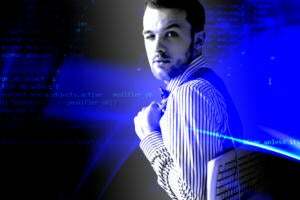 "Digital technologies give organizations the chance to have personal, individualized relationships at scale—but getting there requires going beyond superficial social promotion." In the following 12 examples, brands went beyond the superficial. Over the past year, they rolled out remarkable campaigns on Twitter, Facebook, Pinterest, Vine, YouTube and even Snapchat. They received attention for their efforts while getting personal with customers. They kept them engaged. They made them laugh—or cry. One brand even gave a lucky customer $1 million. The examples come from social media expert judges across the U.S. None of the judges, nor the agencies for which they work, were involved in the social media campaigns they recommended. Background: Red Bull is known for promoting a high-energy lifestyle. The energy drink brand often sponsors big sporting events promoted through social media, not to mention the New York Red Bulls of Major League Soccer. Its most notable recent example, though, was daredevil Felix Baumgartner's October 2012 record-breaking jump into the stratosphere over New Mexico, says Steve Ehrlich, global vice president of client development for TMP Worldwide. 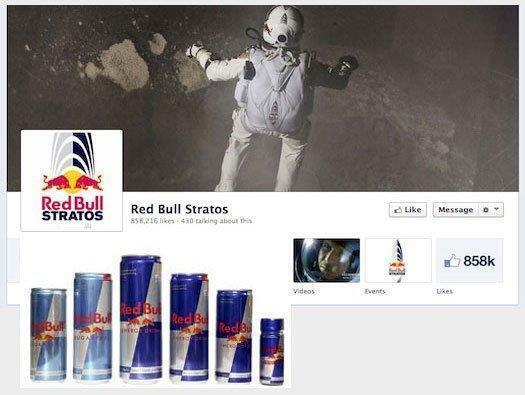 Red Bull leveraged the stunt with social media campaigns on YouTube, Facebook and Twitter. Why it worked: "It's not every day an organization can take advantage of an event of this nature," Ehrlich says. But the stunt fit well with Red Bull's brand and drove "massive engagement" across its social platforms. "YouTube saw more than 8 million people watching the live-stream of the jump and gained more than 87,000 new subscribers," he adds. "The Facebook page had nearly 1 million interactions on the day of the jump, and the @RedBullStratos Twitter feed had more than 20,000 interactions that day." The event even has its own Wikipedia page. Background: Never mind that Facebook was decades into the future for the characters of the 1960s and 70s AMC TV series Mad Men. HappyPlace, the creative force behind SomeECards, recapped each episode of the most recent season's Mad Men with its own faux Facebook page. Here's the twist: The episode's plot was revealed through Facebook status updates as if posted by the show's characters. Picture Don Draper posting a photo of himself in a fetal position on Facebook, and you get the idea. did the actual episodes of the program. Combine two things people can't get enough of — Facebook and Mad Men — and you can't lose." HappyPlace is currently giving Breaking Bad the same faux Facebook treatment. 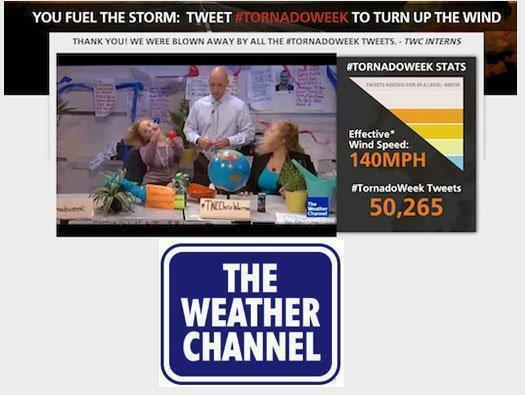 Background: This spring, to promote Tornado Week, interns at The Weather Channel "transformed their office into a Tweet-powered tornado simulation, putting the Twittersphere in charge of the wind speed," says Linda Perry-Lube, chief digital officer of PR firm RF|Binder. "For each mention of #TornadoWeek, the wind speed in the office was elevated." The goal: Grab 1 million Twitter mentions to "turn up the wind for a full-blown EF-5 tornado" of at least 200 mph, Perry-Lube says. The campaign ran simultaneously on mobile devices, with two TV specials and a live-streaming YouTube event of the interns' office blasted by wind machines. Why it worked: The campaign didn't quite reach its goal, garnering 50,265 tweets, which in turn created "an effective wind speed" of 140 mph. But The Weather Channel received a lot of publicity for its campaign, with articles in Huffington Post, AdWeek, ABC News and more, which no doubt put some extra wind beneath its Tornado Week viewership wings. Background: Just as Google often changes its ‘Doodle’ at the top of its search page, Oreo chose to release a whimsical image on its Tumblr blog, Oreo Daily Twist, every day from June to October 2012. 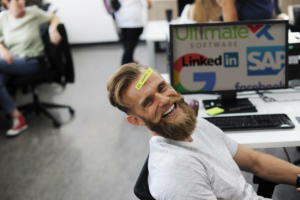 Images were connected to events that occurred the day they were released, says Steve Ehrlich, global vice president of client development for TMP Worldwide. Aside from the Tumblr blog, Oreo has shown a lot of creativity as well as spontaneity in social media, Ehrlich notes. 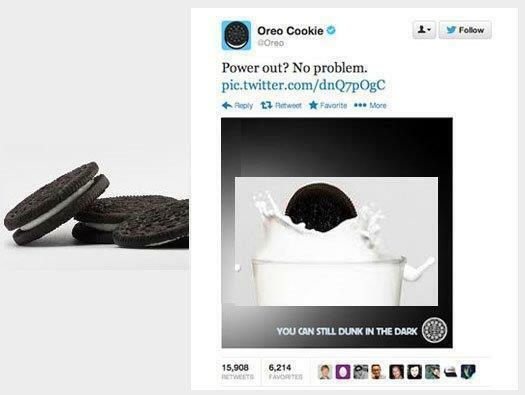 During the Super Bowl 2013 power outage, for example, the Oreo team sprang into action and tweeted the image shown at left. Why it worked: Oreo's Tumblr images "were educational and informative, they were fun, and they were totally on brand, Ehrlich says. The Super Bowl tweet worked, he adds, because there was no red tape to clear before it could be posted. "It hit the Twitter-stream at the right moment. It was funny, and most importantly, it was totally on brand. With more than 15,000 retweets, this was clearly a viral success." Background: Dove's Real Beauty Sketches campaign "took real women and interviewed them about their thoughts on their own appearances," notes SEO and social media consultant Misty Faucheux. The aim was to help girls and women boost self-confidence and get them to realize, as the campaign tagline says, "You are more beautiful than you think." Why it worked: Instead of holding women up to supermodel standards, the campaign directly addressed women's insecurities. In doing so, says Faucheux, it "created the personal connection many companies strive for but never achieve." By late May, Dove's Real Beauty Sketches went beyond viral to become the most-watched online video ad of all time, according to Unilever. As of this writing, the campaign's homepage had received 18,000 tweets, 681,000 Facebook Likes, and 2,400 Google +1 endorsements. Background: Home improvement retailer Lowe's launched a series of DIY videos using Vine, the six-second video recording/social sharing app Twitter released early this year. 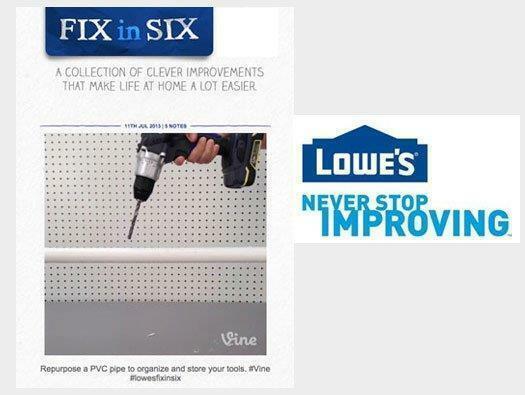 The Lowe's Vine videos, hashtagged #lowesfixinsix and also shared on Twitter and a Tumblr blog, demonstrate tasks such as unscrewing a broken light bulb with a baking potato and keeping your trash container from getting sucked in when you pull out a trash bag. specialist at Capitol Media Solutions. And the campaign has received a "hugely positive Twitter response," says Business Insider. was hacked. The fast food chain’s logo was changed to McDonalds’ and its profile rewritten to say it had been sold to McDonalds. The tricksters even posted photos of alleged drug users who they claimed were Burger King employees. 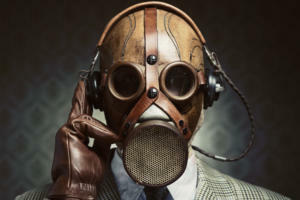 Why it worked: "This sounds like a total disaster, but after the flame-broiled smoke cleared, Burger King's Twitter account had gained about 30,000 new followers," says Brandy Wilson, digital and social media marketing specialist with Capitol Media Solutions. 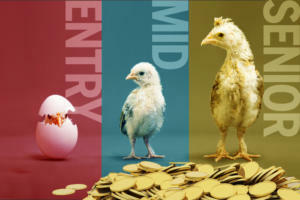 Background: This spring, Frito-Lay held a social media contest in which fans first submitted ideas for new potato chip flavors and then voted for their favorite finalists: Chicken & Waffles, Cheesy Garlic Bread or Sriracha (a hot sauce often found in Thai food). The winning flavor would become an actual Frito-Lay product; the other two would not. Votes could be cast via the company's Facebook page, by text or via Twitter. The winning flavor: Cheesy Garlic Bread. Why it worked: The contest provided real value to Frito-Lay's target market, says Kiosha Gregg, owner and digital strategist of Digitize Marketing. The person who submitted the winning flavor receives $1 million or 1 percent of the winning flavor's 2013 net sales, whichever is higher. Also, "Do Us a Flavor" led participants to purchase Frito-Lay products, Gregg says. This tied into the company's brand better than, say, giving away an iPad. Bottom line: The campaign succeeded "due to the ease of entering and a great prize, and the brand benefited from all the increased fan engagement. Frito-Lay is currently holding a similar contest in Canada, this time with four flavors. 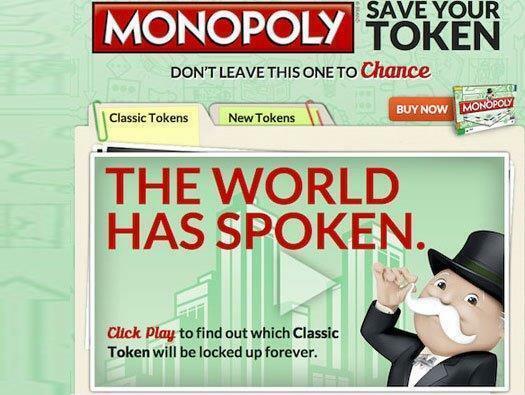 Background: The board game Monopoly, which dates to 1935, needed a touch of social-media relevancy. So from Jan. 9 through Feb. 5, game maker Hasbro announced it would retire one of its game tokens. Hasbro asked fans to vote via Facebook which token should be deep-sixed. Hasbro also presented possible replacement tokens and asked fans to vote for their favorite. The iron token lost, while the replacement cat token won. Why it worked: Hasbro's campaign was authentic to its brand, revived interest in the board game and kept the interaction simple, notes Nathan Rice, partner and digital director at Haberman. It also gave fans reasons to buy a new version of the game (to get the cat token) or snap up the existing game before the iron token disappeared. The campaign even stirred social media buzz among other brands. Shoe-seller Zappos took to Twitter to ask fans not to vote off the shoe token: "It's hard to look dapper walking around in socks." And AAA used Twitter to petition to keep the car token. Background: The hot social app Snapchat lets users send photos, texts or videos to their friends. The messages disappear completely from the recipient's device within 10 seconds. As with any popular social network, brands have started to add Snapchat to their mix. Late this spring, Taco Bell was the first major brand to join Snapchat, asking its Twitter followers to add them on Snapchat for a "secret announcement," which turned out to be the reintroduction of its Beefy Crunch Burrito. Snapchat users who opted in received a photo of the burrito. Background: Upscale retailer Nordstrom is harnessing social media in ways that "fundamentally change" their business model, notes Linda Perry-Lube, chief digital officer of PR firm RF|Binder. Beginning in March, Nordstrom started pinning products for sale on Pinterest, then showcasing the most popular "pinned" items (limited to dresses, handbags, and women’s shoes) at certain stores around the country. In certain stores, the retailer designates "most pinned" products with "P" logos and showcases the most-pinned items on iPad displays. Nordstrom has also added a Most Pinned section to its website. Why it worked: The campaign further strengthens Nordstrom's social media might by cleverly combining online buzz with brick-and-mortar retailing. On Pinterest, Nordstrom has amassed more than 4.5 million followers, compared to Macy's 47,000+ followers and Barney's 44,000+ followers. Background: Yampa Valley Bank runs two branches in small Colorado towns. Though initially concerned about losing control of its marketing message, "Genuine Hometown Banking," over social media, the bank wanted to deepen customer loyalty. The CEO recorded a series of YouTube videos to show the bank wasn't "a suit-and-tie operation," says Annakate Tefft Ross, director of digital services for McNeely Pigott & Fox Public Relations. Meanwhile, the bank's Facebook Fan page emphasized photos of customers, employees, sports teams and pets. In November 2012, the bank ran a "Sponsored Story" Facebook campaign as part of its efforts to match up to $5,000 in charitable contributions to a local organization. The bank used pay-per-click advertising to increase traffic and campaign awareness. 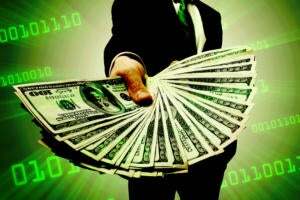 Why it worked: The overall campaign reached 20,851 people; garnered 2,125 campaign actions and clicks; earned the bank 302 new Facebook fans, and cost only $478.84, according to a Social Media Today blog post. The campaign brought in $8,160 for the charity, too. And approximately 5 percent of the local population is now connected to the bank through Facebook.